With the constant increasing prices of healthcare in our country, and with the ever rising instances of diseases, health insurance today is a necessity. Health insurance provides people with a much needed financial backup at times of medical emergencies. Health risks and uncertainties are a part of life. One cannot plan and get sick but one can certainly be prepared for the financial aspect. One of the ways to be financially prepared against uncertain health risks is by buying health insurance. Health insurance is a type of insurance coverage that pays for medical expenses incurred by the insured. Health insurance can reimburse the insured for expenses incurred from illness or injury, or pay the care provider directly. There are different types of health insurance plans, such as individual health insurance, family health insurance, critical illness insurance, etc. Purchasing a health insurance is an integral part of financial planning. 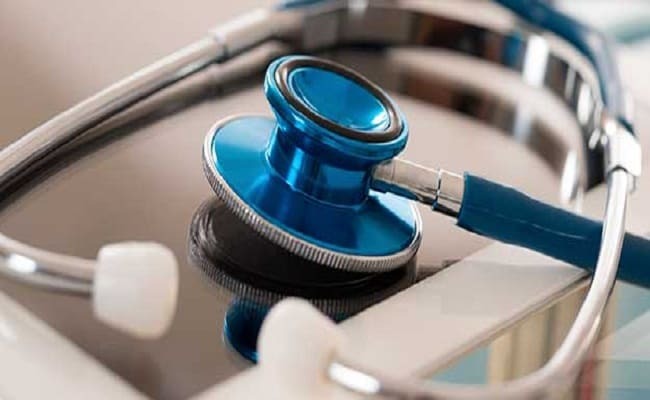 Health insurance provides people with a much needed financial backup at times of medical emergencies, but it is an observed fact that till date, medical care in our country still remains largely as an expensive affair. According to various reports, India still continues to have the lowest health insurance penetration in the world. However, government's focus towards health schemes, new initiatives like, Ayushman Bharat Yojana, and capital expenditure towards healthcare may ameliorate the situation. There are innumerable reasons to have a health insurance policy in place, and if you have a family to support, you can buy a family health insurance to take care of the medical needs of your family. However, the health insurance premium that one has to pay to avail a good insurance policy varies for different people, and is based on a number of different factors. 1. Changing lifestyle: There are a plethora of reasons to have a health insurance policy in place. The tectonic shift in our lifestyle has made us more prone to a wide range of health disorders. Commuting, hectic work schedules, wrong eating habits, quality of food, and rising levels of pollution have increased the risk of developing health problems. 2. Rising medical costs: The medical costs have dramatically risen lately. So, in case of a medical emergency, consumers end up spending their savings, which takes a toll on their future plans. Reports highlight that Indians primarily depend on their own savings when it comes to tackling health emergencies. 3. Income tax benefit: Payments made towards health insurance premiums are also eligible for tax deductions under section 80D of the Indian Income Tax Act. Individuals up to 60 years of age can claim a deduction of up to Rs 25,000 for the health insurance premium paid for themselves, or for their spouse or children. One can also claim another Rs 50,000 as deduction if you buy health insurance for your parents aged 60 years and above. This deduction will be available with respect of payments towards annual premium on health insurance policy, or preventive health check-up, of a senior citizen, or medical expenditure in respect of every senior citizen. So overall, if you are paying the health insurance premiums for your senior citizen parents, you can avail total deduction up to Rs. 75,000 (Rs. 25,000 + Rs. 50,000), from the Rs. 55,000 (Rs. 25,000 + Rs. 30,000) earlier. 4. Coverage of pre and post hospitalisation expenses: Not only mainstream medical costs, but also the cost of OPD (out-patient department) expenses, diagnostic tests have also risen in recent times which have made it even more vital for one to buy a health insurance policy. It is noteworthy that the medical policies not only cover the hospitalisation costs but also the expenses incurred towards OPD and diagnostic tests before and after a stipulated time period as prescribed by the policy. 5. Additional benefits: One also gets benefits such as ambulance coverage, coverage for day-care surgeries, coverage for health check-up and vaccination expenses under health insurance. These days' insurance companies also offer health insurance for Ayush treatment. There is a common dilemma among people about the right age to buy a health insurance policy. However, there's no right age to buy one. But, if one buys health insurance policy at an early age, one will have to pay less for the policy. Premiums for a health policy increase with one's age; that's because the associated risk increases. Premiums for health plans are determined by the age, medical history, city of residence, etc. of the insured. So, if you buy a health plan early it will help you save on the premiums you will pay. Also, when you are buying a health insurance, buying critical illness insurance is suggested as well. A critical illness policy is a cover that offers to pay you a fixed sum once you are diagnosed with a critical illness that is covered by the policy. You can opt to buy a critical illness policy as standalone insurance, or you can buy it as a rider when you buy your regular health insurance. Critical illness insurance acts as a very valuable addition to the basic health cover in case you are diagnosed with a serious illness. While you can use your regular individual or family health insurance to cover your hospitalisation bills, the lump sum amount that you receive from the critical illness cover can fund other essential expenses associated with your critical illness. 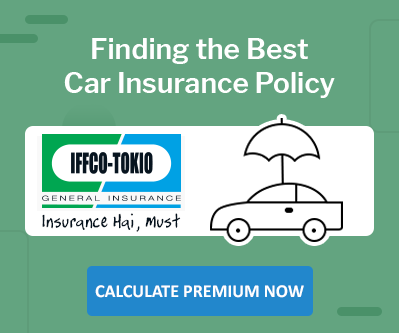 Companies such as IFFCO Tokio offer a host of insurance policies. Family Health Protector Policy, Individual Health Protector Policy, Health Protector Plus Policy Coverage are some of the health insurance policies offered by them. IFFCO Tokio, one of the top general insurance companies in India, is present across India through a wide network of strategic business units, lateral spread centres and bima kendras. It offers a wide range of policies covering individuals, small, medium and large enterprises. From modest beginnings, it has become among the leading private general insurance companies in India.